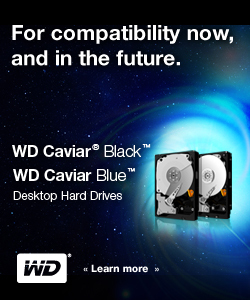 Western Digital is one of DISKCON’s top sponsors, and a supporter of IDEMA throughout the year. As an active member of the Advanced Storage Technology Consortium (ASTC), Western Digital is on the forefront of pro-competitive joint R&D efforts that will propel the disk drive industry forward. Rich Rutledge is a member of the executive council of IDEMA’s Global Board of Directors and has been a huge supporter of IDEMA’s standards efforts, particularly Advanced Format and Shingle Magnetic Recording. Curtis Stevens, Director of Standards & Features Technology at WD has been a steady volunteer in recent years. Currently he is the Chairperson of the Magnetic Recording Work Group, and will be speaking to the question “Advanced Format in Legacy Infrastructures – Disruptive or Transparent?” at the Storage Developer’s Conference in Santa Clara, California on Wednesday at 3:05 PM. This year, we're celebrating the 25th Anniversary of DISKCON, making this an event you don't want to miss. Make sure you register soon! Help us build a better IDEMA Facebook Page by sharing your photos and stories. This entry was posted in USA Events.